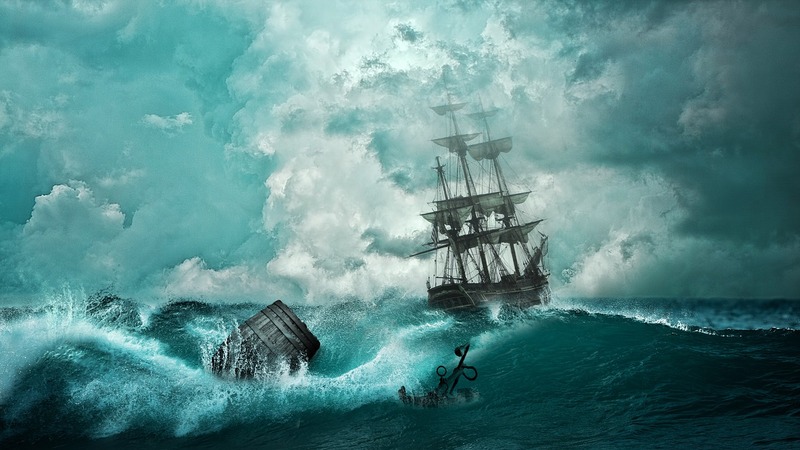 Have you ever wondered how many ancient ships have found themselves at the bottom of the ocean? Over the centuries, there has been many shipwrecks that took with them down to the bottom of the oceans many different treasures. By treasures I’m not only referring to things like gold, if that’s where your mind went. No, what I’m talking about are sculptures, jewelery, many different types of art. Everything and anything that the ancient cultures transported over the oceans and seas went down with the ships. When I first read about this, my thought was that there couldn’t be that many ships that went down. Well I was wrong. Recent research shows that there has been so many ships that went down over the years that there’s more artifacts from ancient cultures buried at the bottom of the oceans than there are in the museums. That’s something to give you pause. Just think about it for a second. All the treasures that museums from around the world have, from various different periods of time, there’s more of them in the darkness of the oceans. Of course, getting to them is pretty much impossible. Considering the enormous depth at which these artifacts are, the pressure, the temperatures, finding them is near impossible, let along actually getting them out. Who knows, maybe in the future, once the technology develops enough. Until then, these items are hidden away from everyone.